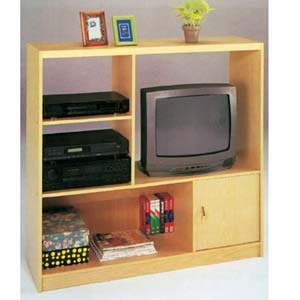 Entertainment Center. Easy to assemble. Natural wood color. Strong construction.